Then we need to download glut, in this example I will use freeglut, the old glut is not maintained anymore. You can find a freeglut package for Windows at http://www.transmissionzero.co.uk/software/freeglut-devel/. It contains the GL header files and lib, dll files, both for 32bit and 64bit, use anyone suits you. And then copy three files to the same folder: libfreeglut.a, libfreeglut_static.a, freeglut.dll. When you compile the source file, you need the lib files, and when you run the executable file, you need dll file, you can find them all in the freeglut package. You also need to copy the freeglut-MinGW-3.0.0-1.mp.zip\freeglut\include\GL to MinGW\include\GL, it contains all freeglut header files. 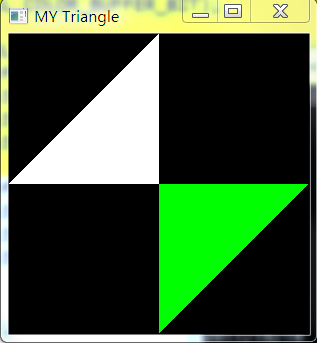 g++ -o gltriangle.exe gltriangle.c -lopengl32 -lfreeglut -L"."